For Sat Nav users our post code is KA19 8DU. 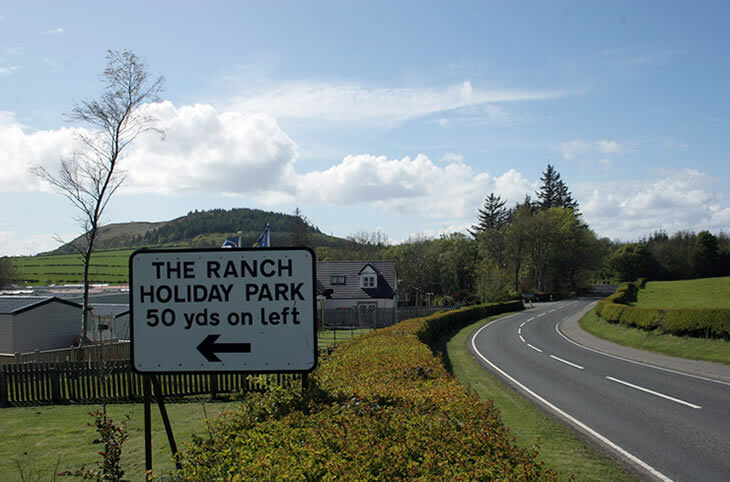 Interactive map showing the location of The Ranch in relation to Southern Scotland. Approaching The Ranch having just left Maybole on the B7023 heading for Culzean Castle / Maidens. 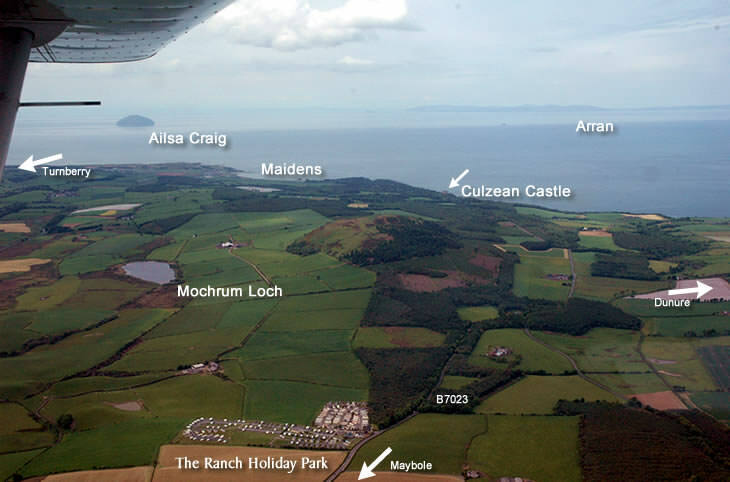 Aerial photo showing the location of The Ranch Holiday Park and nearby attractions.